"The Care of the Self is the third and possibly final volume of Michel Foucault's widely acclaimed examination of the experience of sexuality in Western society. 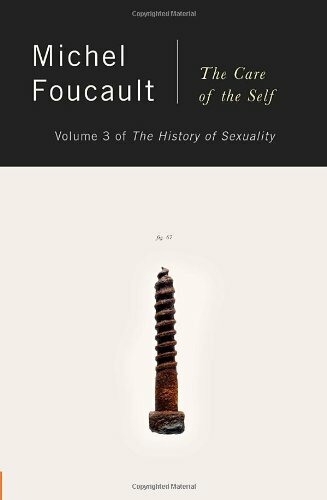 Foucault takes us into the first two centuries of our own era, into the Golden Age of Rome, to reveal a subtle but decisive break from the classical Greek vision of sexual pleasure. He skillfully explores the whole corpus of moral reflection among philosophers (Plutarch, Epictetus, Marcus Aurelius, Seneca) and physicians of the era, and uncovers an increasing mistrust of pleasure and growing anxiety over sexual activity and its consequences." --the publisher.